Claudia Neuman Watts: "Practice having fun." Mary Mcmanus: "No matter what happens, know that unless it's life threatening, ALL IS WELL." Susan Armstrong: "Spend time paying attention to my inner resources." Ranjini Rusch: "Clean up the mess." Paddy Noble: "Walk in the woods." Linda Azato: "Listen to your heart. It's waiting for you." Sarah Grace Powers: "Notice everything that is working in your life." Janis Wilson: "See with the eyes of beauty the incredible gift it is to be alive on earth feeling peace." Mary Foxen: "Keep the company of the Good in me." Jos van Laar: Before you do ANYTHING, first tune your instrument PERFECTLY." Jennifer Boire: "Get a good night's sleep. What a difference it makes." Sandeep Agarwel: "Trust and have confidence in yourself." Robyn Botelho: "Focus on the good and positive, and water it, and it will grow more than the bad." Lin D. Miller: "Value each moment." Sharon Jeffers: "BE in LOVE." Joyce Gerber: "Turn my attention within inside myself. Center myself by going to my inner tuning fork." Heike Schmeling: "Have a good laugh." James Hickey: "Remember the breath." Venu Gopal: "Read Sri Nisargaddata's spiritual classic: I Am That." Joan Ferlazzo: "Feed the good wolf." Lisa Hart: "It's great to start the day laughing." How about YOU? 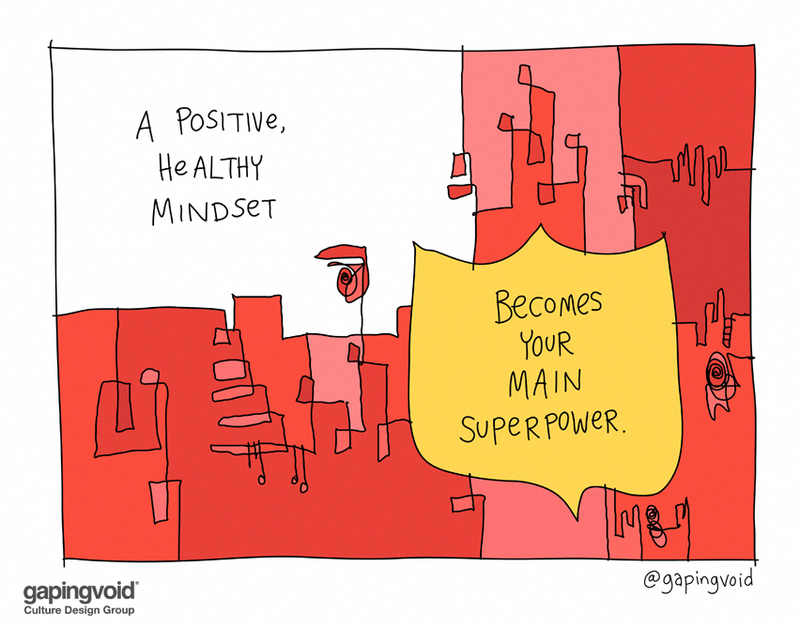 How do you stay in a positive, healthy mindset?